I found Quality 1st Basement Systems through an internet search and gave them a call. My salesman was very professional and the installation team was courteous and thorough. They cleaned up nicely after the job. We chose Quality 1st Basement Systems because the system was more efficient and worked better than the competition! This Staten Island homeowner faced puddles in his basement after a heavy storm. He would get water in his basement after heavy rains, so he contacted Quality 1st Basement Systems for options on waterproofing his basement. Our System Design Specialist recommended the WaterGuard (full perimeter basement waterproofing system), TripleSafe Sump Pump (the best sump on the market, including a battery backup for power outages! ), and BrightWall panels to further waterproof and brighten this basement space which is now completely dry! Quality 1st Basement Systems replaced this old sump pump in Staten Island, NY with a top of the line SuperSump sump pump. Quality 1st Basement Systems replaced an old, nasty smelling sump pump with a TripleSafe sump pump. Now this Far Rockaway, Queens NY basement is safe from flooding! 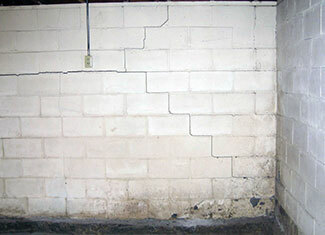 A homeowner in East Elmhurst, Queens needed to waterproof his basement walls. Quality 1st Basement Systems installed BrightWall waterproof basement wall covering to keep the area clean and safe. A homeowner in the Bronx was experiencing water and moisture on their basement walls. The homeowners turned to Quality 1st Basements for a waterproofing solution. CleanSpace Wall System was installed to hold back water vapor that is passing through the foundation walls and directing the water to the sump pump. CleanSpace also is a great way to upgrade your basement walls, giving them a clean look. Now the homeowners can enjoy a clean, dry basement!